If you’re in the midst of researching MFA programs and need a little insider know-how, you may want to check out this upcoming workshop hosted at Politics & Prose Bookshop in DC. The two-hour lunchtime class will cover the application process, how to decide on a program right for you (or if, indeed, the MFA is right for you), tips on writing strong letters, and will also cover how to succeed in and after the program, etc. Questions are welcome in a supportive setting. Everyone is welcome regardless of publication history. Monday, November 14, 12 – 2 p.m.
Nicole Idar left a career in financial journalism to pursue an MFA in fiction from George Mason University, enrolling 10 years after she earned a BA in English & American Literature from Harvard University. She was the 2010-2011 Thesis Fellow in Fiction at GMU, and won the Mary Roberts Rinehart and Dan Rudy awards for her stories. Her work has appeared in the New Ohio Review and World Literature Today, and is forthcoming in Rattapallax. She remembers feeling anxious about whether or not to apply to MFA programs when she was still a journalist, and wishes this class had been available at the time! I’m very pleased to share my latest publication, Bigger Than They Appear: Anthology of Very Short Poems (edited by Katerina Stoykova-Klemer). In this anthology of 250 poems, you’ll find my poem “Hindsight” in good company, alongside authors like Barry George, Joy Gaines-Friedler, Thom Ward, and many, many more. Visit the Accents Publishing website for more info and to order. 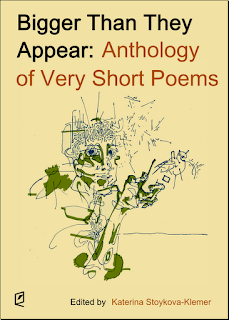 Bigger Than They Appear: Anthology of Very Short Poems is a 316-page volume of poems of up to 50 words, including titles. Whether poignant, funny, tragic, or inspirational, each poem is always complete and memorable, representing a world larger than the space it takes on the page. 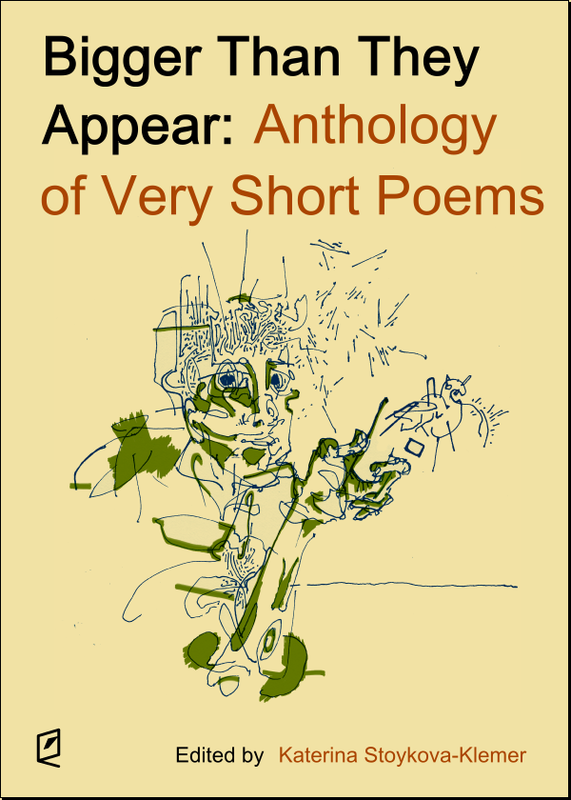 This book features work by 192 contemporary masters of the short free-form poem. "There are sharp flashes of light, moments when the miraculous world reveals itself to us swiftly, fully. And, because the mind is also a miracle, the lucky words sometimes arrive to capture that revelation and through it witness what it means to be alive. That is the gift of this gorgeous collection." Format: Softcover, 5" x 7"